“I think the biggest problem is not allocating sufficient funds and resources fast enough to tackle the issues. I have been lobbying the authorities for three and a half years for robust barriers to be installed at the points of access being used by illegal vehicles. Cleveland Police Commissioner, Barry Coppinger, has called the first meeting of an action group at Police Headquarters on Ladgate Lane at 1.30pm, Monday 15 May 2017. 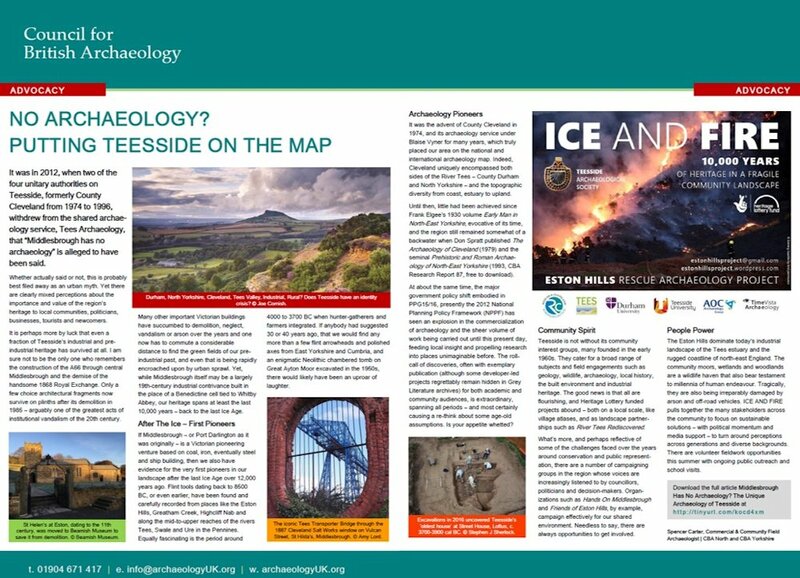 Look out for a feature article on Teesside’s archaeology in the forthcoming Council for British Archaeology Newsletter no. 40! ♦ Spence | Get Involved! 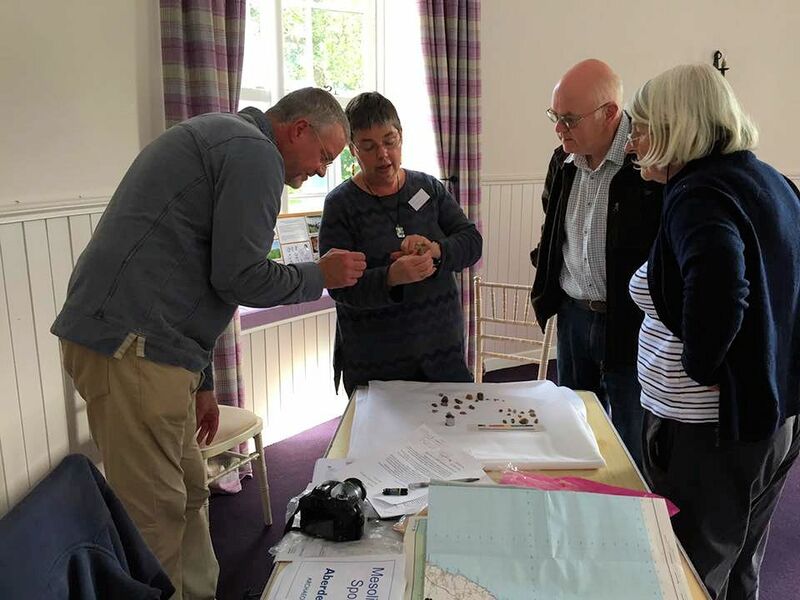 Project director Adam Mead is a Durham University archaeology student and we’re grateful for considerable support from the department and Teesside Archaeological Society. Here are a couple of ranty reads with mentions of the Mesolithic. 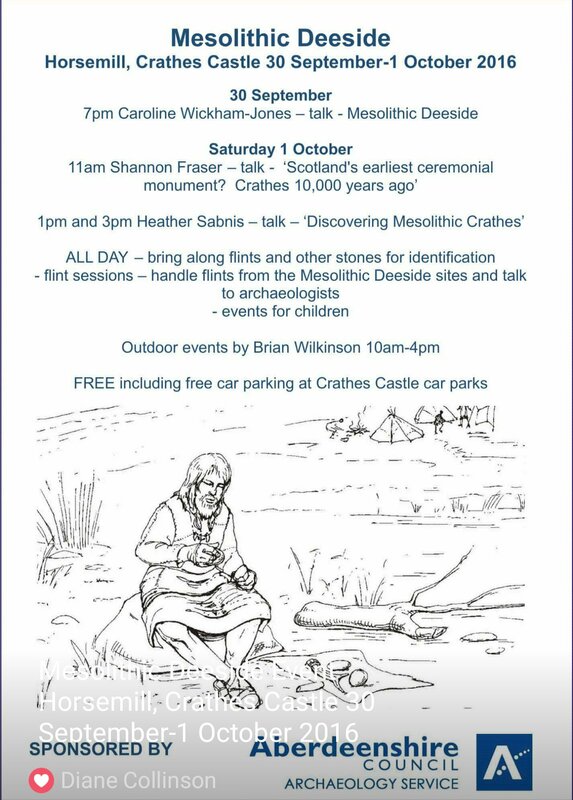 First is another great post from Caroline Wickham-Jones on her Mesolithic archaeology blog. Caroline (pictured) eloquently expounds some of the problems with typology-based dating. 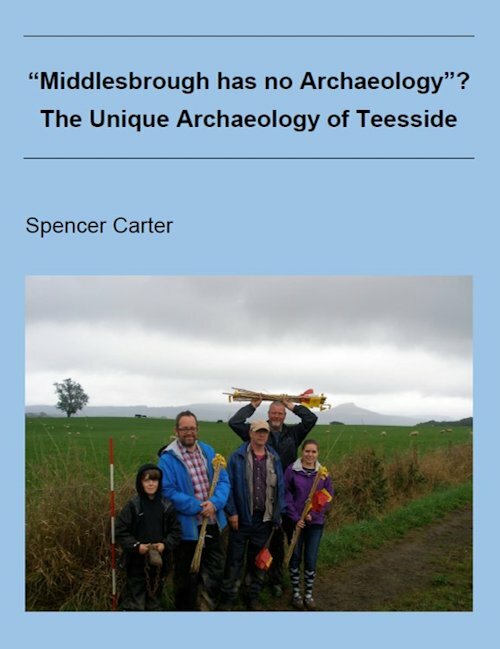 Second up is an article I wrote for the Hands on Middlesbrough heritage campaigning group challenging the alleged suggestion, made in 2012, “that Middlesbrough has no archaeology”. Middlesbrough and its neighbouring boroughs, and Teesside overall, have an amazing portfolio of over 10,000 years of archaeology and built heritage! I offer some tips — against the value of heritage, the historic and archaeological environments — for easy steps to take in championing our shared past. A recommended reading list, much available online, and links to related resources are included at the end of the article. Image | © University of York.